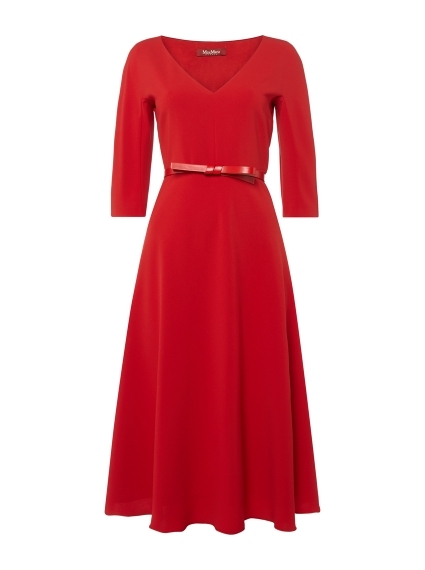 From Max Mara Studio which is committed to creating effortless daily designs, this midi dress is a perfect choice that can be suited to any day of the week. Offering a minimal aesthetic in a lightweight cady blend, it features a flattering v neck before cinching at the waist with a bow belt. Accessorise accordingly depending on the occasion.